"Well, I knew I was coming to a brunch. 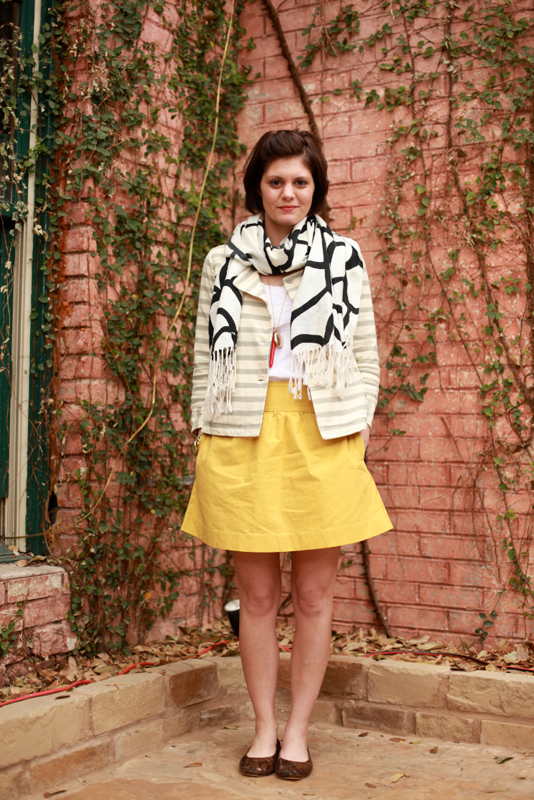 You know a little lady like brunch, so I wore my little yellow skirt. 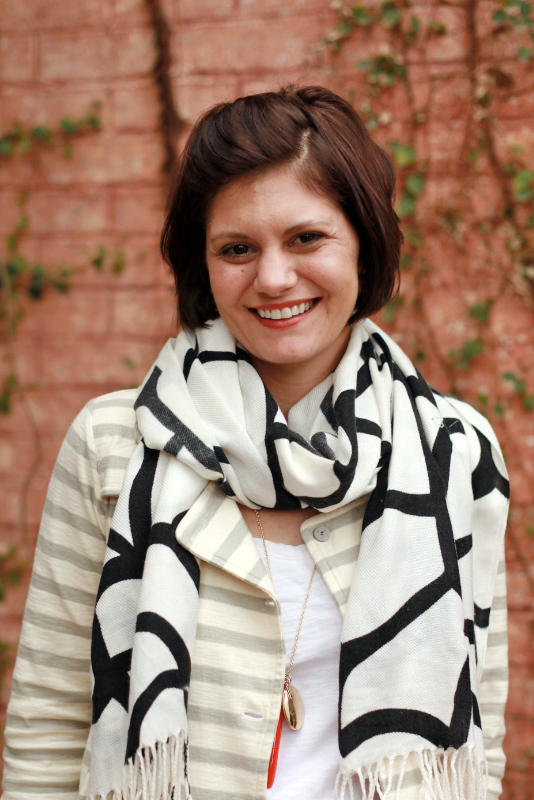 And then the jacket and the scarf is just because I was cold and I thought they were cute with the pattern mixture." Known online for her fabulous design site, Anna Beth wears color and texture in a similar vein to how she might suggest you adorn your living space. Here she looks fantastic with a shot of yellow fabric and otherwise spare off-white, white, and touches of gray and black. 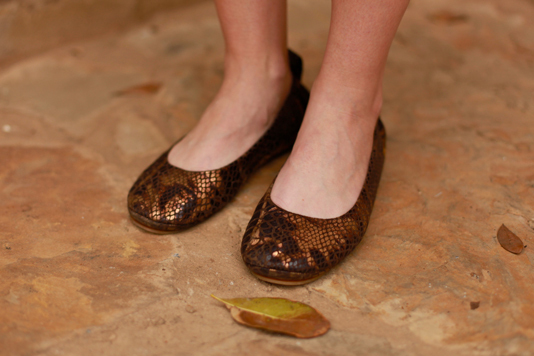 Love these bronze ballet flats. Flats are hot this spring.